We have all unwrapped yet another pair of socks at Christmas. Many of us will have had a goat donated to a needy village in our name. All jolly good, but this year how about some community shares? It will be an alternative and meaningful gift for family or friends who don’t want more stuff but do want to make the places they live better. A community share is a share in a local business, run by local people. By buying a share — which often start at a very affordable £1 — you have a say in how that business is run. Like all shares, there are no guarantees of how your investment will perform, but then the reward is primarily about the social impact, not the financial returns. It is a chance to support a fantastic business offering local services on your doorstep. Take Stretford Public Hall in Manchester. Once home to Stretford Civic Theatre, Stretford Public Hall was built for the local community in 1878, and then enjoyed more than 100 years of community use until its closure in 2012. 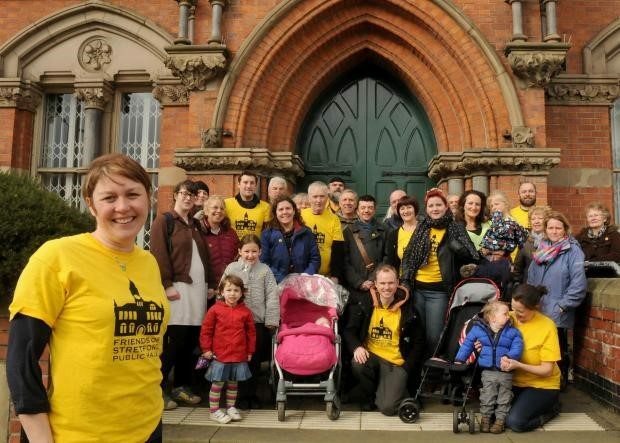 In 2015, The Friends of Stretford Public Hall started a campaign to restore the hall to its former glory as a community venue. By buying a community share, you can help turn it into a space for arts, for learning, for meeting, for work, for leisure. Maybe to watch a gig, or get married, somewhere to meet and have a coffee, or go to a fitness class. Once you invest, you have as much say as anyone else as to how it’s run. Another example is Leeds Community Homes. Affordable housing is one of the biggest issues facing Britain today. But local people around the country are now taking on developments themselves to make sure they really are affordable. Leeds Community Homes has launched a share offer to raise £360,000 which will fund 16 permanently affordable homes, the first of their 1,000 homes target. And we are match-funding their share offer up to £100,000. So every pound you invest is worth double. You can read much more about these big ideas in Leeds here. And if halls or housing don’t take your fancy, you could invest in renewable energy schemes such as Plymouth Community Energy. Over the last two years they have raised funds through community shares to build Plymouth’s largest solar panel, generating enough clean energy to meet the annual needs of 1,000 homes and long-term funds for local economic development, fuel poverty and climate change projects. Now you can co-own part of the solar park. Shares cost £1, with a minimum investment of £50 and a maximum investment of £100,000. The target interest offered on your investment is an impressive 6%. A gift that does good locally. What’s not to like? Find more open community share offers on Ethex.org and find out more about community shares on www.communityshares.org.uk and Crowdfunder.